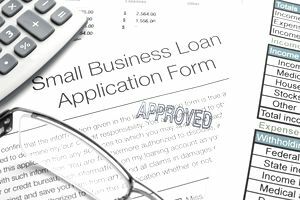 If you — or your business — borrow money from a bank or other lender, you have a loan. (A mortgage, by the way, is just one kind of loan.) The payments on a loan are divided into two parts: the principal and the interest. The principal is the amount you are borrowing, and the interest is the charge for the time you have the loan. The word "principal" means "main." The principal (main) thing to remember about principal as it relates to loans, mortgages, and investments, is that the principal is the major (main) part of the balance of that account. The principal of a loan is the amount borrowed. Interest is calculated on the principal. In a loan amortization schedule, the principal and interest are separated, so you can see which part of your monthly payment goes to paying off the principal, and which part is used to pay interest. In the same way as a loan, investments have principal and interest, but the interest is the reverse. The principal amount of an investment is the main part, the original amount invested; for bonds, the principal is the face value. Let's look at an example. You take out a loan to buy some business equipment. The cost of the equipment is $10,000, but you are contributing $2,000 in a down payment, so the principal on the loan will be $8,000. The bank charges 4 percent interest on the loan. When calculating the monthly payments, the bank amortizes the loan, spreading it out over time, and calculating each monthly payment. For each month, the schedule shows (a the principal balance at the beginning of the month, (b) the total amount of the payment, (c) the portion of the payment that goes to reducing the principal, (d) the amount of the payment that is interest expense, and (e) the principal balance at the end of the month. You will notice that each month the principal balance goes down and the interest amount goes down. By the end of the loan, the principal balance zero and the interest is zero. Can I Make a Loan Payment That Is Only Interest or Only Principal? Yes. A "principal only" payment reduces the principal but not the interest. An "interest only" loan payment does not draw down (reduce) the principal. Can I Pay Off the Loan Principal Faster? Most mortgages and loans allow borrowers to make additional principal payments to pay off the loan faster. Paying off the principal reduces the total amount of interest since the interest is calculated on the principal balance. If I Pay off the Principal Does the Interest Disappear? Not really. The interest is calculated on the remaining balance, usually an average balance over a period of time. If you pay off a loan, there may still be some interest that you will have to pay for the latest period. How Does Loan Principal Affect My Business Taxes? The total amount of principal you owe on a business loan is an account payable (an amount owed). When you make a payment, it reduces the account payable amount. The interest part of the payment is interest expense. The reduction in principal doesn't directly affect your business taxes, but the interest expense is deductible as a business expense. Individual taxpayers cannot deduct interest expense on personal tax returns, except for home mortgage interest.